RAIL UNION RMT has confirmed a new strike date on Merseyrail after the company wrecked talks yesterday over the crucial issue of the future of the safety critical role of the guard. In addition, the union will be stepping up the campaign, involving the general public and targeting politicians across the area served by Merseyrail, aimed at maximising political and public support for RMT’s fight for a guaranteed guard on the company’s services. “It is disgraceful that Merseyrail wrecked a golden opportunity to engage in serious talks with the union yesterday. RMT reps set out key points for discussion that could have moved the dispute forwards, Merseyrail kicked that conciliatory approach back in our faces and made it crystal clear that all that they are interested in is the union signing a surrender document which gives them a free hand to rip apart the safety culture on the railway. “It is that cynical and hostile stance from Merseyrail which has left us with no option but to put on this additional strike action. 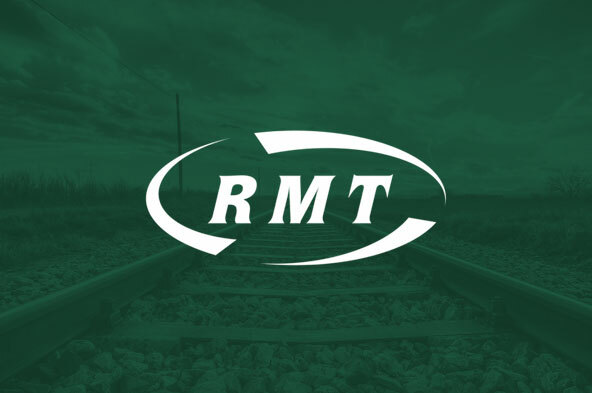 RMT recognises the severe impact that the action will have on Grand National Day but we are dealing with an employer that refuses to listen or engage with the union on the critical issue of safe rail operation and we ask the public to understand that we have no option but to take this high-profile action to force the company back to the negotiating table. There is ample time between now and April 8th for genuine talks to take place and for a safe and sustainable deal that protects the future safety across Merseyrail services to be put in place. The company should take up that offer of further talks as a matter of urgency.